A car is traditionally one of the biggest purchases a person makes, so it’s not surprising that car companies occasionally throw in extra equipment or features to sweeten the deal. These are usually things like rubber floor mats and wheel locks, or perhaps a free tank of gas or GPS navigation. Once in awhile, though, the salespeople get creative, especially when it comes to luxury or exotic models. Over the years, new cars have entered the showroom with everything from iPads to mini motorcycles on the list of options. Drinking and driving isn’t a good idea, but that is apparently what chauffeurs are for. 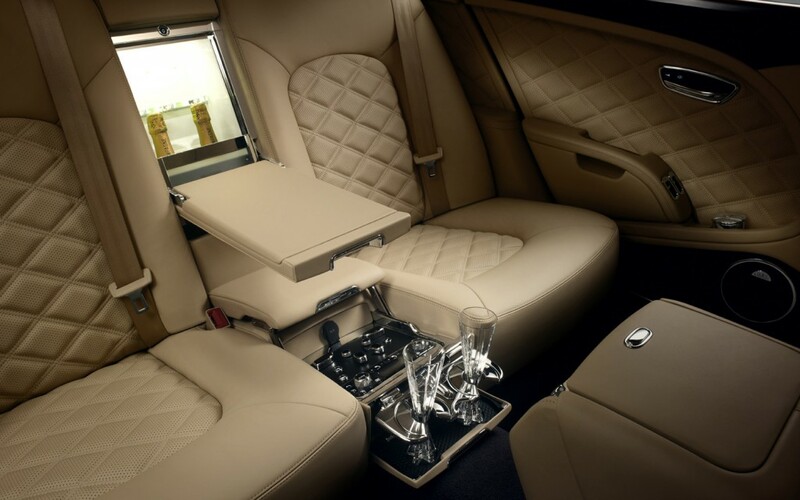 Rear seat passengers in the Bentley Mulsanne Mulliner can indulge while someone else does the driving. Bentley sells this version of its big sedan with a champagne cooler that sits where the middle rear seats of more plebeian cars usually are. Befitting on of the world’s most meticulously crafted cars, the cooler has a frosted glass door and LED accent lighting. For the Mulsanne Mulliner’s more than $300,000 asking price, Bentley also throws in three hand-cut champagne flutes designed to match the car’s 21-inch wheels. For those who want to sip some bubbly at highway speeds, this Bentley is just the ticket. Hopefully the British company’s engineers did a thorough job tuning the suspension, lest the owner spill his or her glass. With it’s glitziest luxury sedan, the Equus, Hyundai is encouraging customers to save trees by offering the owner’s manual as an iPad app. The Equus does come with a conventional paper manual, but Hyundai feels the option of going digital will improve the owner’s experience. The 1,100 pages of text are augmented by how-to videos, interactive features, and 360-degree images. The app also has a Dealer Locator feature that finds the nearest Authorized Equus Dealer (not all Hyundai dealers sell this rarefied vehicle) and schedules routine maintenance. Hyundai famously went one step further to advertise the Equus and the app when the car launched in 2011. 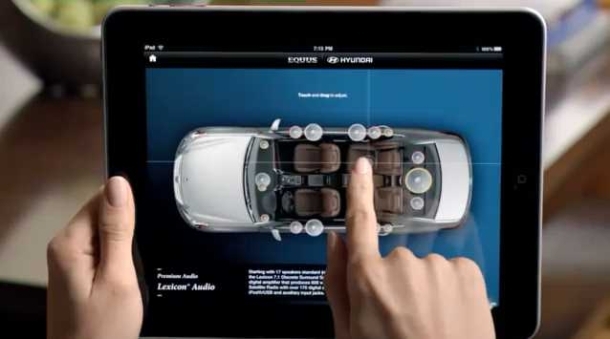 Each new 2011 Equus came with a free iPad, which should have at least attracted the attention of the tech set. Unfortunately, it was a one-year-only promotion; buyers of 2012 and newer Equuses will have to fend for themselves. The virtual manual is offered for free on the iTunes App Store, and is even available to people who don’t own an Equus. Introduced in 1981, the tiny Honda City didn’t have much more horsepower than a motorbike, but Honda decided to throw one in anyway. The Motocompo was an equally tiny bike designed to fit in the City’s trunk so drivers could park their cars near a destination and ride the rest of the way. In theory, this would lessen congestion (and the stress of finding a parking space) in urban areas and town centers. However, owners sacrificed a lot for the extra mobility. The City’s trunk was designed around the Motocompo but, since the entire car was only 135 inches long, that still didn’t leave much room to work with. 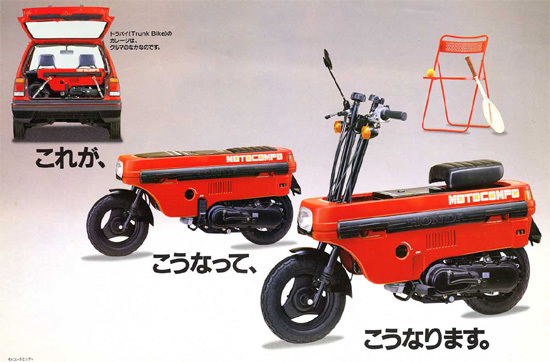 Honda gave the Motocompo folding handlebars and foot pegs, and a decidedly ‘80s square shape,’ but it was still one of the smallest bikes around. Maybe that’s why Honda ditched the Motocompo in 1983, while the first generation (AA) City lasted until 1986, and became something of a cult classic. However, BMW has revived the concept with its i Pedelec (Pedal Electric Cycle), an electric bicycle designed to stow in the hatch of the i3 electric city car. A few car companies, including BMW, Mercedes-Benz AMG, and Porsche, offer driving lessons with their high performance cars. However, few cars require instruction more than Chevy’s 638 horsepower Corvette ZR1. When they purchase their ZR1s, buyers can sign up for a free two-day course at the Ron Fellows Performance Driving School, located at the Spring Mountain Motorsports Ranch in Pahrump, Nevada. Activities include braking exercises that teach proper technique as well as the difference between conventional brakes and ABS, heel-and-toe downshifting exercises, a wet figure 8, and a few laps of the Spring Mountain track. ZR1-less speed freaks can also take the course, but it will cost $2,995. 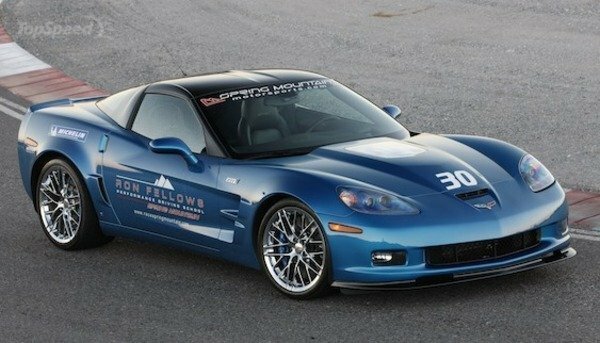 Ron Fellows also offers a three-day ZR1 course, meaning an extra day of track time, for $4,395. What piece of equipment makes a dream car perfect? How about another car? With a 795 hp hybrid powertrain, the Porsche 918 Spyder should be all the car anyone would ever need, but another car was on the options list. It’s hard to believe anyone purchasing a 918 would want another car, but the 918 examples Porsche is building won’t be delivered until September 18, 2013 (9/18), so the bosses at Zuffenhausen decided to give their customers the option of some temporary transportation. 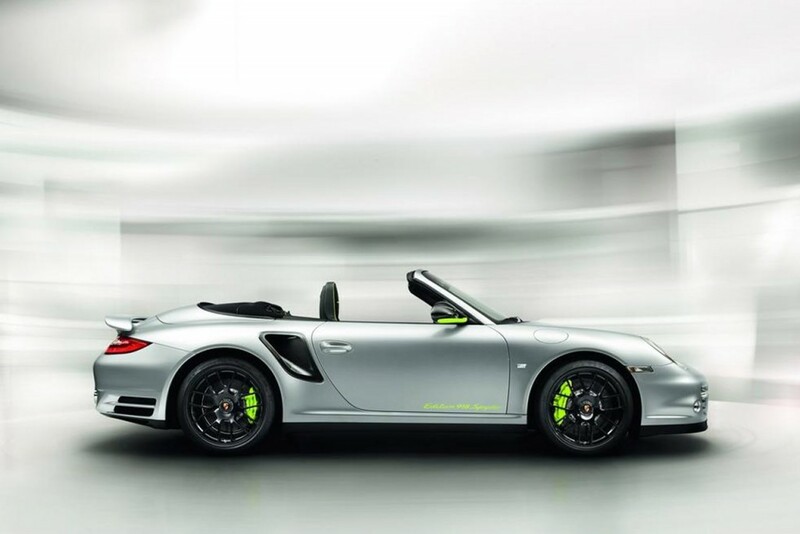 Porsche offered buyers the opportunity to purchase a 911 Turbo S Edition 918 Spyder with their hybrid supercars. 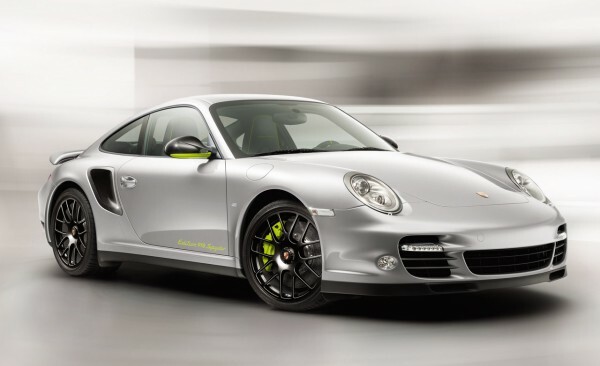 The special edition, based on the previous generation 997 911 Turbo S, was offered when Porsche started taking reservations for the 918 in the spring of 2011. The Edition 918 Spyder sported the same 530 hp as the regular Turbo S, but came with carbon fiber trim, an upgraded interior, and Acid Green brake calipers to match the 918’s. The special edition 911 was also limited to 918 units, so theoretically every 918 owner could stay ensconced in a Porsche during the nearly two-year waiting period. It stickered for $160,700 for a Coupe and $172,100 for a Cabriolet. That’s on top of the $895,000 asking price for a 918 Spyder.